It’s not just beer styles being bastardised in the craft beer world these days. It seems that increasingly the lines between bars and bottleshops are being blurred too. In Victoria in particular, where the likes of drink-in bottleshops such as Mordialloc Cellar Door and Chapel St Cellars have been operating for many years, and where, after expanding and installing additional taps in the kitchen, Valley Cellar Door asked to be moved from the Crafty bottleshop directory to the one for venues, the hybrids keep on coming. In the past two months alone, two popular bottleshops have added bars at the back of their stores. First to open was the six-tap affair at Grape & Grain in Moorabbin, with Carwyn Cellars in Thornbury following suit in the past fortnight. 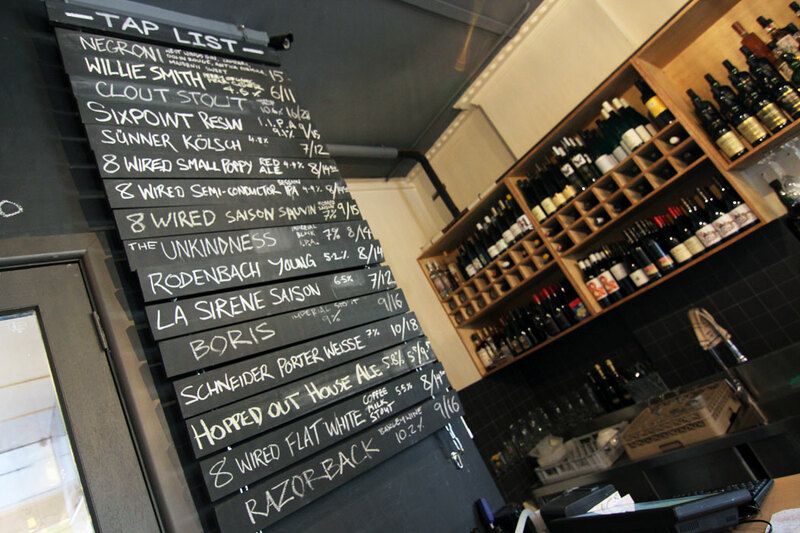 They are united by more than their melding of bar and bottleshop as one too; like fellow Melbourne bottleshop-with-taps Slowbeer, peruse their draught offerings and you’ll find them heavily weighted in favour of the esoteric as opposed to the every day. “I just wanted my own bar,” says Ben Carwyn, who has operated a bottleshop in Thornbury High Street for a number of years and first told us of his intention to add a bar three years ago. Having offered a sneak peek of the Back Bar â when it was still a work-in-progress â during this year’s Good Beer Week, the finished version was unveiled earlier this month. It features 16 taps on a single font – “The biggest single font in Melbourne, I think!” says Ben with faux hubris – as well as 140 whisk(e)ys, a lineup of Mezcals that will rise to 40 and a colourful wine list that includes such rarities as orange wine alongside a selection of natural wines. One tap will always pour a “house beer”, with staff member Ben Duval bringing some of his homebrew recipes to life in partnership with nearby 3 Ravens, while there is a food offering of cheese and charcuterie that will be expanded through a partnership with local Lebanese “inauthentic pizza” venue, the Moor’s Head. Aside from the long bar, the venue features a series of tall benches – long and short, lightbulbs hanging low on long leads from the ceiling and walls lined with artwork. There is also seating on the graffiti-lined pavement outside. 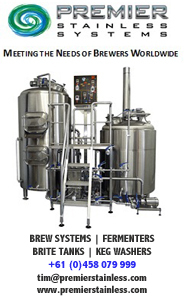 He says they’re in the process of making their own bitters as well as their own tonic water and will be adding the ability to put beers under nitrogen as well. Add to that plans for beer events and beer launches and it seems fair to say Melbourne has a quality new northern outpost for craft beer. 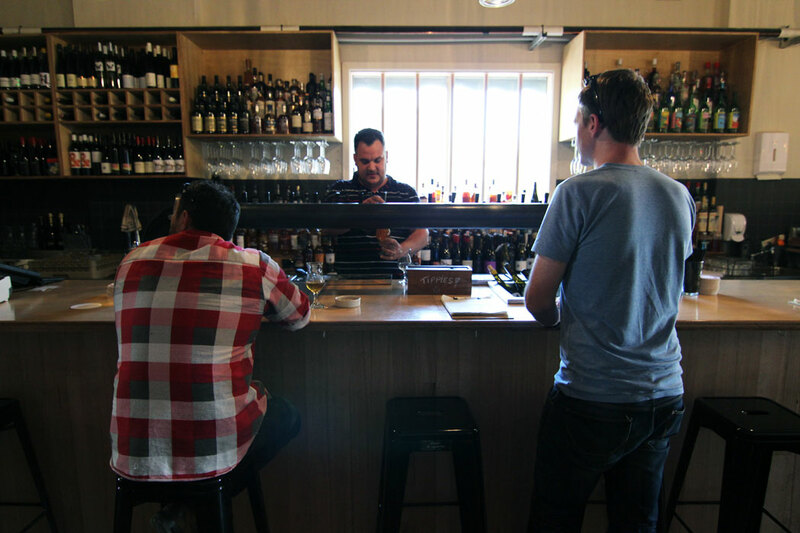 Since opening the bar, the Bens have also noticed an increase in takings at the bottleshop, a pleasant side benefit that has also been witnessed at Grape & Grain (not to be confused with Yarraville home brew specialist Grain & Grape.). The bottleshop opened at the end of 2012, bringing a great selection of quality brews to an area that had previously been something of a desert. 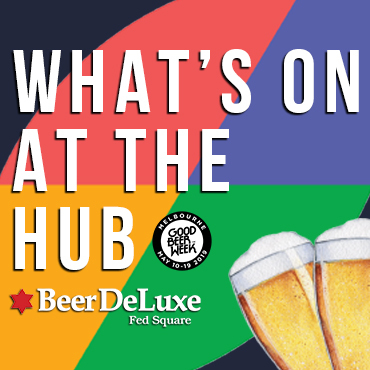 Spotting potential in a site close to the Nepean Highway and Moorabbin train station, social media and word of mouth soon saw John Tei’s venue become a destination for beer lovers from the eastern suburbs and Mornington Peninsula alike, with the lure increasing since the bar was opened. “The regular tastings we were holding were getting bigger and we had the space,” says John. “We rang the council that the end of 2013 thinking it would be a nightmare. They came out the next day and said, ‘Fantastic. How can we help?’. Thus he set about turning the back half of the bottleshop into a “home from home”, with 40 seats of the vintage shop kind, plus chess, cribbage and the like. And it’s proved to be a combination that people like. 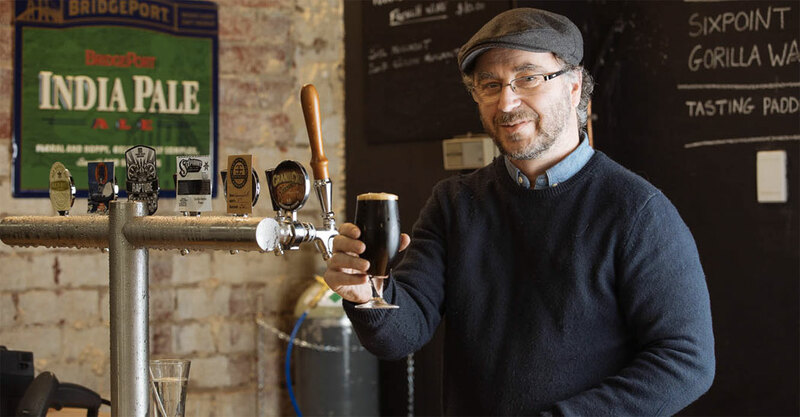 As with the Carwyn Back Bar, every tap is a rotating one â when we spoke to John he was pouring Make Beer’s Apple Pie Rye alongside beers from 8 Wired, Yeastie Boys, Rodenbach and Doctor’s Orders â and is turning them over fast. Grape & Grain is at 14-16 Station Street, Moorabbin and is open until 11pm all week (although tends to close earlier at the start of the week. Carwyn Cellars Back Bar is open 10am to late seven days a week, with a 2am license when required. Photo of John Tei from the Moorabbin Junction website.